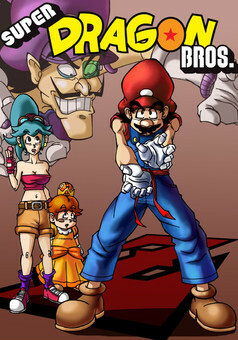 The worlds of Dragon Ball Z and Super Mario Bros. collide ! Bros Gokû, world champion and savior of the Earth, must partner with his eternal enemy Piccoshi, to fight an unprecedented threat... Vegeta and Nappa Kong! They will be helped (or slowed down, it's up to you) by Koopa Sennin, the old perverse master, Kritoad and Yamach the unnecessary sidekicks, the beautiful and angry Beach, and finally Gokû's girl (yes) Bros Gohan! 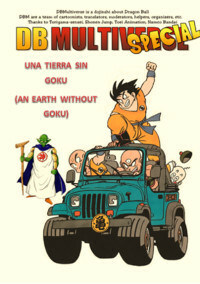 A parody of Dragon Ball, something we've been wanting to do for a long time ! But doing it in the Nintendo world is a big plus ! Chewys 15Feb	ch21 p25 Good my young Perfect Gan! Good! I can feel your stillness. Don´t struggle! Keep standing still and fulfill your victory! venuu 17Jan	ch21 p27 I have seen that face on the last pic before, can't place it atm. Would've he felt it if the shot was a bit lower? Chewys 16Jan	ch21 p22 Woahhhh!! Now that´s what is called knowing your shows hahaha! venuu 5Jan	ch21 p25 What spin? It is a slash. Is it more Zelda game jokes? 13308 comments in other languages. Asclepios 30Mar	ch21 p31 La transformation de Gon contre Neferupito ? lufo 27Mar	ch21 p25 Yay ! 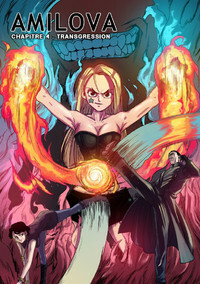 Salagir 27Mar	ch21 p25 Une page arrive ce samedi ! Azurio 20Mar	ch21 p25 Il a pris cher, Gan ! 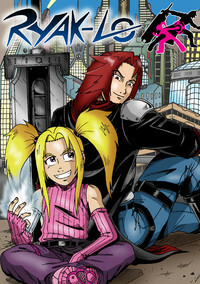 lufo 16Mar	ch21 p25 Prenez votre temps, pas la peine de rucher ^^. Je suis prêt à attendre des mois si il faut. decondelite 9Mar	ch21 p25 On est *vraiment* obligés de commenter chaque page? -_-' Je lis toutes les semaines sans réagir.